After iPhone 8 the biggest rumors seeker currently in smartphone market if OnePlus 5. The device which is going to give the tough competition to some of the biggest flagships in the market. As the tagline says it will be flagship killer. In the recent report OnePlus is all set to discontinue 6-month-old OnePlus 3T to make way for upcoming OnePlus 5. Coming back to rumors and leaks in the recent leak new images of the upcoming 'flagship killer' have emerged online which point towards a vertical dual camera setup at the rear. The leak also showcases the OnePlus 5 wrapped in what seems to be a first-party protective cover. It also shows a LED flash right below the vertical dual camera setup and volume keys and a power button on the smartphone's right edge. The dual camera setup looks to be the most exciting aspect of the OnePlus 5 as OnePlus has entered a partnership with the camera gurus at DxOMark to develop the smartphone's camera. If that is not enough, the smartphone is expected to come with a dual camera setup at the front as well. Recently, OnePlus's CEO confirmed that the OnePlus 5 will be powered by Qualcomm's latest flagship processor - the Snapdragon 835. Additionally, the smartphone has spotted on AnTuTu a few days ago, which revealed that it will come with a 5.5-inch display, a front fingerprint sensor, and a sizeable 3,600mAh battery. It is also expected that OnePlus 5 will be the first phone with Snapdragon 835 to be launched worldwide. The 5.5-inch display is expected to be fullHD, although there is the slight possibility that OnePlus might just include a QuadHD panel in the OnePlus 5. The smartphone is expected to be offered in two variants - one with 6GB of RAM and 64GB of internal storage and a high-end model with a whopping 8GB of RAM and 128GB of internal storage. On the design front, the OnePlus 5 looks set to retain much of the design elements of the OnePlus 3/3T, with slight refinements here and there such as repositioned antenna lines and minimum screen bezels. 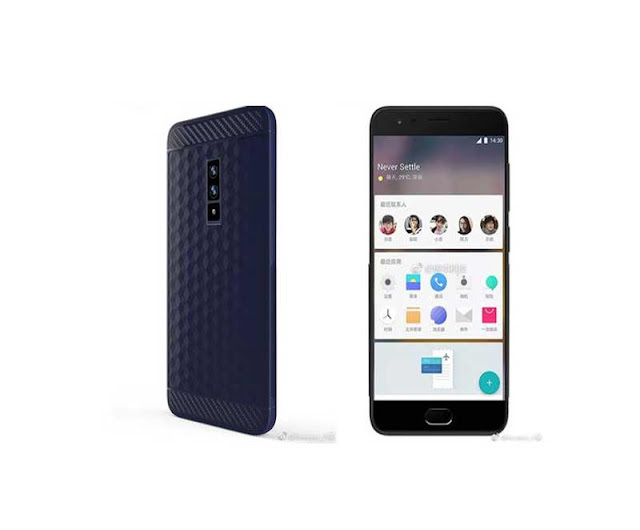 The smartphone is expected to be offered in as many as four different colors, namely Black, Gold, Cherry Red and a new color that OnePlus says has been inspired by a Unicorn.